At Ivy Coach, we are deeply proud to be in the service of our American service-members. On this Memorial Day, we found ourselves emailing our students who served in the American military, students who earned admission to their dream schools this year as well as in years prior. We thanked them for their service. We thanked them for the tours many of them completed in Iraq and Afghanistan and in other parts of the world. It is our great privilege to work with some members of our military each and every year on a pro bono basis to help them achieve their dreams of attending one of America’s finest institutions. For years, our pro bono college admissions help was offered to students from low income families, to American veterans and members of our military, and to other underrepresented groups. But this past year, we began offering our pro bono college admissions help exclusively to veterans and members of our military. Because so many of them need assistance and our resources, at the end of the day, are finite. 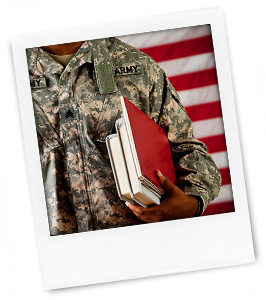 We take great pleasure in helping members of our military gain admission to their dream colleges each and every year. Those phone calls and emails when they get in (and so many of them are shocked because they didn’t think they would get in!) are some of our most memorable experiences each year. While it is of course so meaningful for us when our non-military students earn admission to their dream colleges, these particular phone calls and emails have a little extra kick to them. In all candor, they quite often leave us teary-eyed. At Ivy Coach, we are proud to be in the service of American’s service-members. We are proud to help them achieve their dreams. We are proud to hold their hands through the highly stressful admissions process. We are proud of our body of work, of the dozens of American service-members who’ve since graduated from some of America’s most highly selective universities. They are a big part of our life’s work. To America’s veterans and current members of our military, today, we wish you a most special Memorial Day. Thank you from the bottom of our hearts to you and yours for your service. And if you’re interested in our pro bono college admissions help, please write in. We are here for you.